According to the Environmental Protection Agency, only 25% of the 2.37 million tons of electronics ready for end-of-life management are collected for recycling. One has to wonder where the other 75% is, and what type of sensitive data remains on each device. 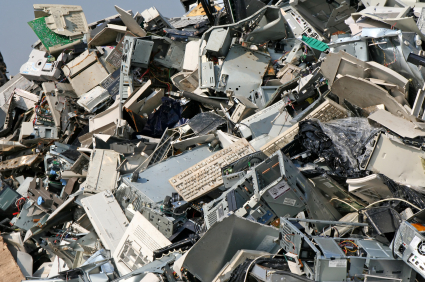 Sadly, too many retired IT assets – computers, cell phones, monitors, copiers, and more – end up in landfills. Toxic chemicals such as lead, cadmium, mercury and other environmentally-damaging substances seep into the ground, and into water supplies. Not only are improperly recycled retired IT assets dangerous to the environment, but the data on them is vulnerable and available to cyber criminals. While Securis is fortunate to work with government agencies and contractors, companies, and individuals who take cybersecurity seriously, today’s article on CNN Money is a reminder that companies must continue to further prioritize efforts to protect data. Cybersecurity is no longer just an afterthought; it’s a core part of any successful business strategy. Yet in the battle to secure cyberspace — where cybercriminals are becoming ever more adept at looting precious data — many U.S. organizations are not wisely defending themselves.